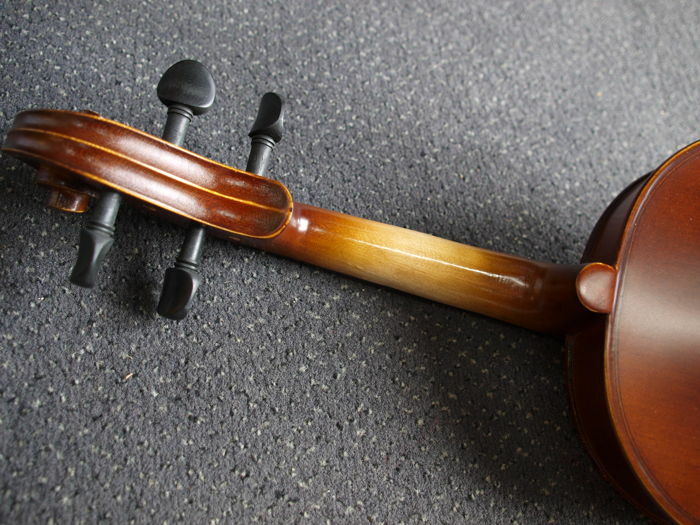 Good playability, holds its tuning, solid manufacturing. 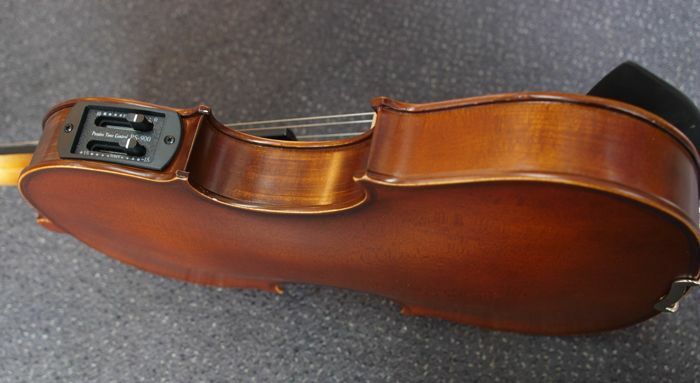 Solid shaped case with accessory compartment and shoulder straps. 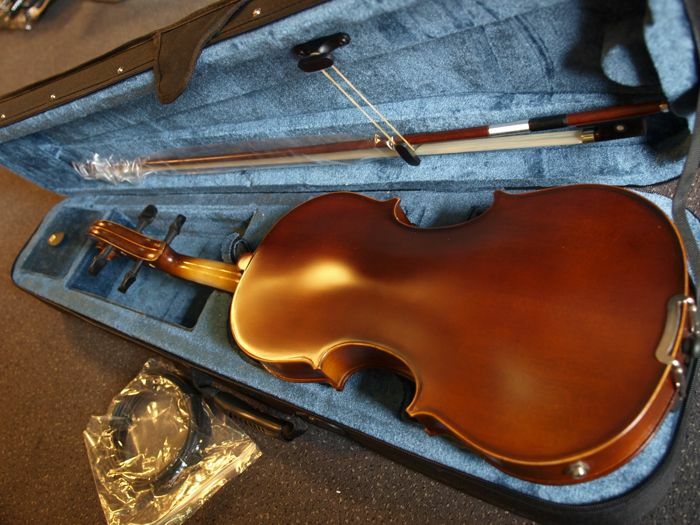 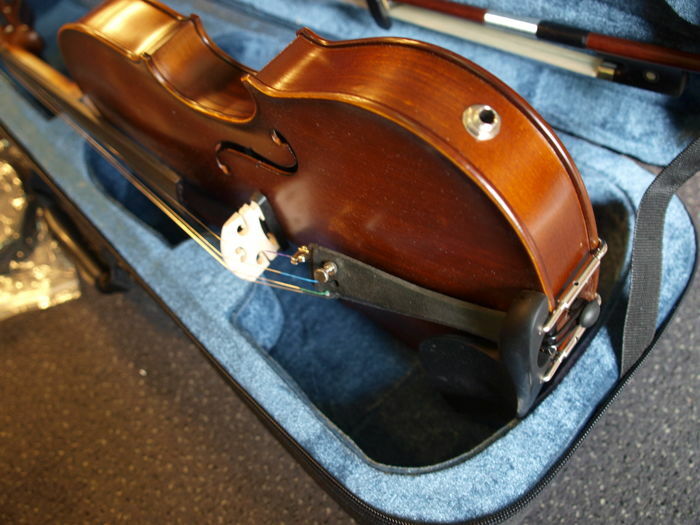 Including chin rest, headphones, rosin, bow and case. 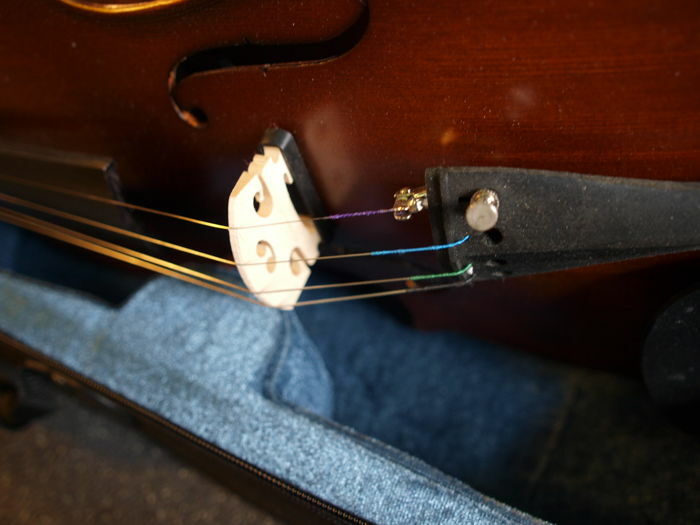 1 fine-tuner on the e-string. 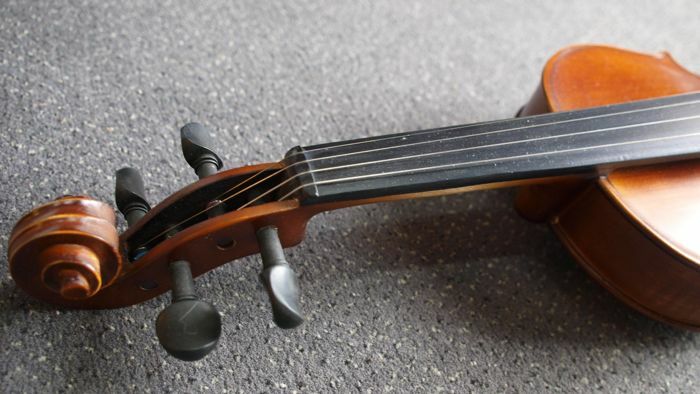 Can be played acoustically or amplified. 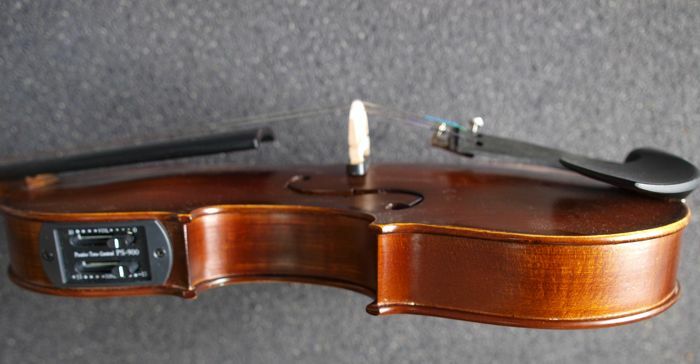 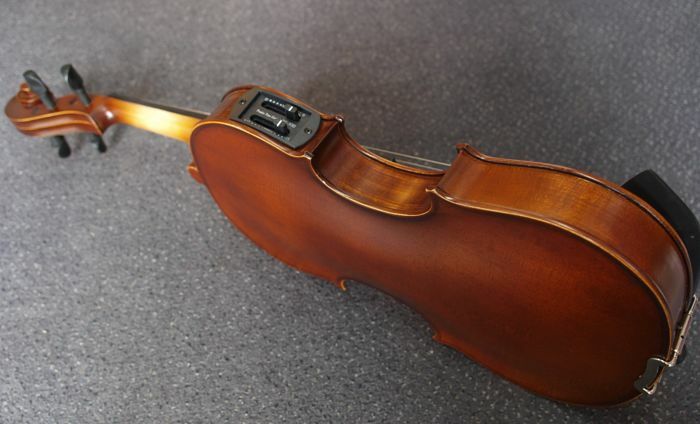 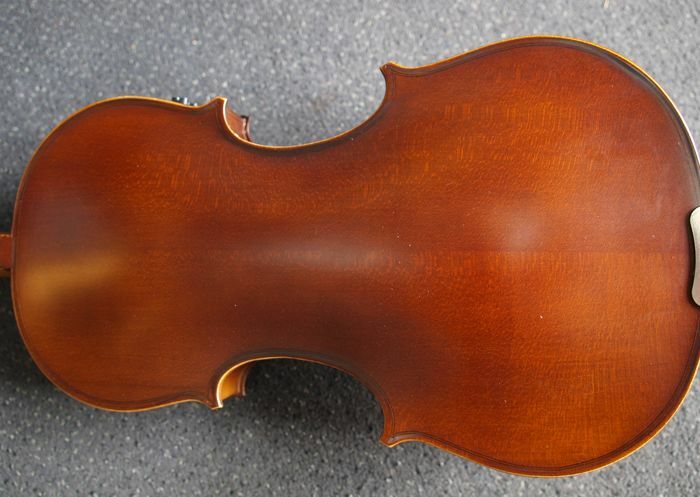 The bow has not been waxed yet and rosin is included. 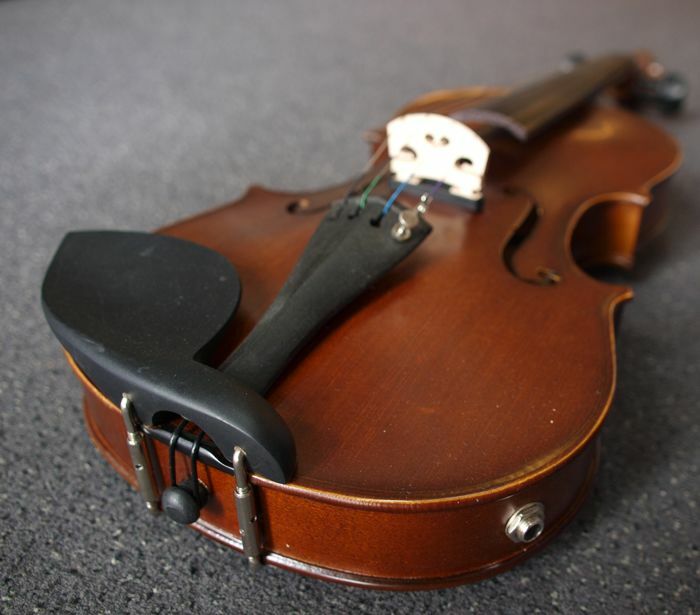 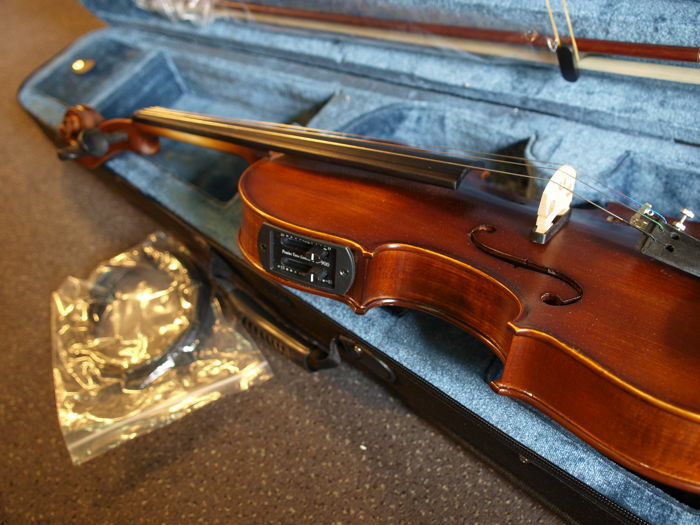 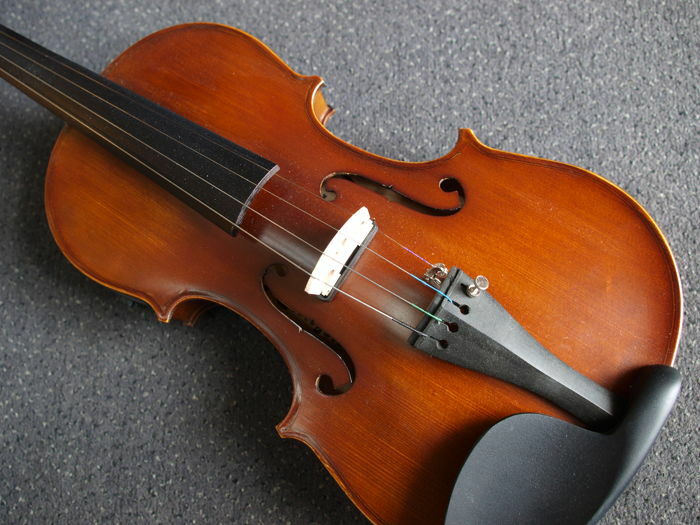 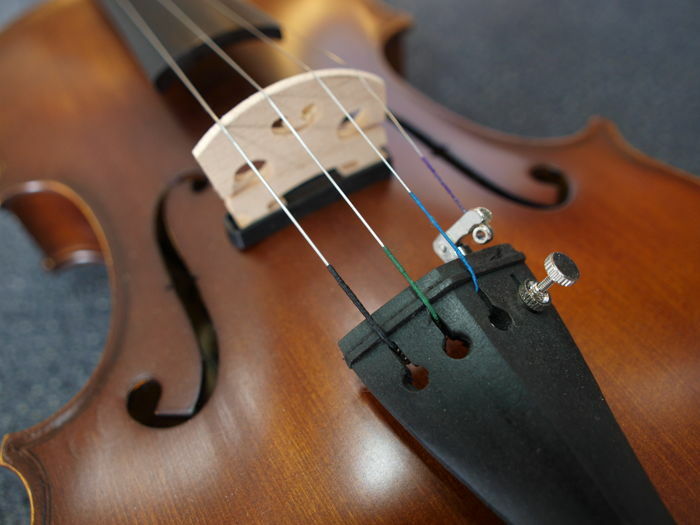 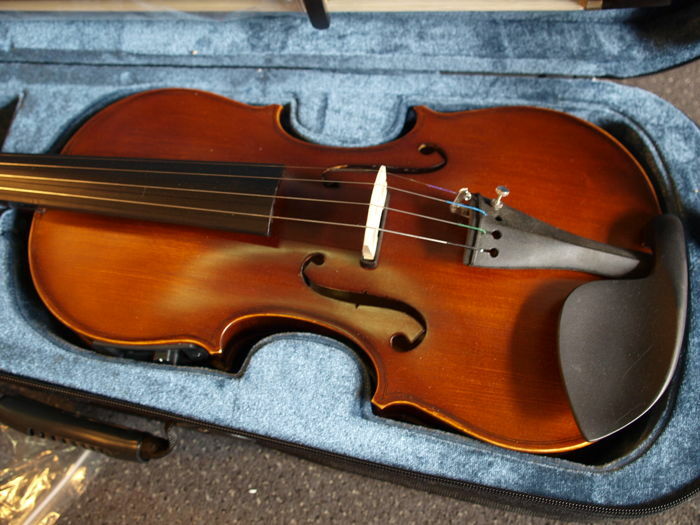 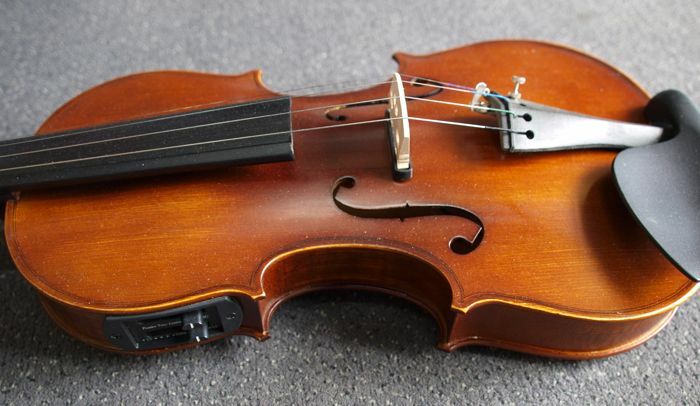 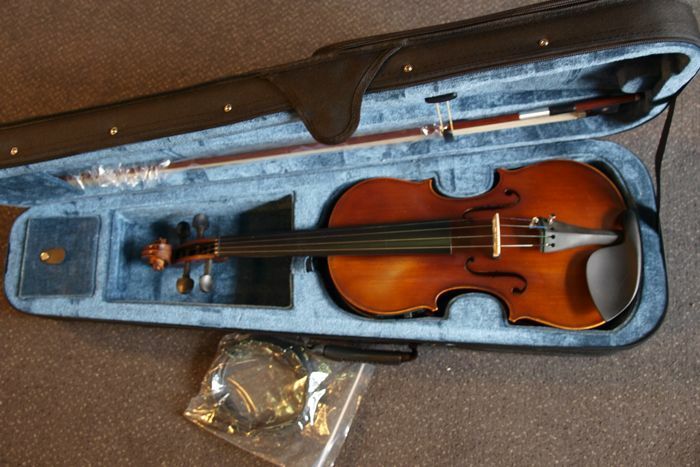 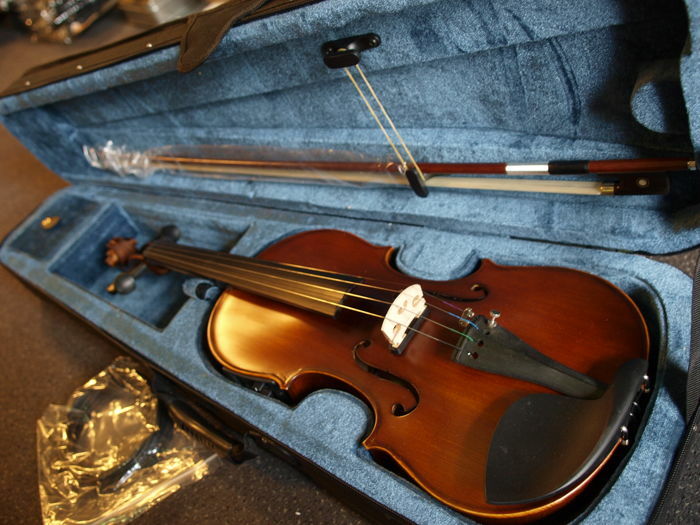 The violin can also be played through an amplifier so it can also be used on the stage. 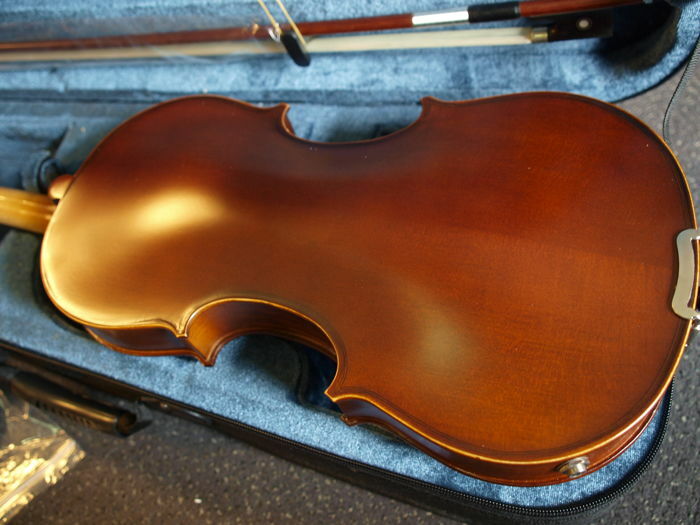 Multiple won lots can be shipped together at once the shipping costs.